Tropical Storm Harvey sent devastating floods pouring into Houston, overwhelming rescuers and displacing thousands of people and animals. Although shelters in Texas are working to make room for abandoned and evacuated pets, they still lack basic necessities for humane conditions. 1. North Shore Animal League has teamed up with shelter partners in Houston to gather items for animals in need. People can donate items at the Information Booth at 25 Davis Ave. in Port Washington. They will be collecting donations until Wednesday, Aug. 30 at 9 p.m. Visit North Shore Animal League America Facebook page for more information. 2. 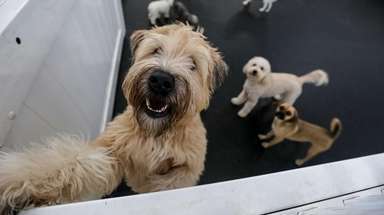 The Humane Society of the United States is working with local officials and animal rescue groups to transport animals to safe spaces. The money donated will contribute to the Disaster Relief Fund to provide temporary shelters for animals and help reunite lost pets with their families. 3. The animal rescue organization Austin Pets Alive! has directly aided animal shelters throughout Texas during the storm's aftermath by fostering animals and requesting donations. 4. San Antonio Humane Society has a shelter wishlist of items needed to protect rescued animals in need of loving homes. Those looking to donate to the cause can do so here. 5. Houston Humane Society provided an Amazon wishlist to collect supplies for animals in need. Those looking to donate to the cause can do so here. 6. 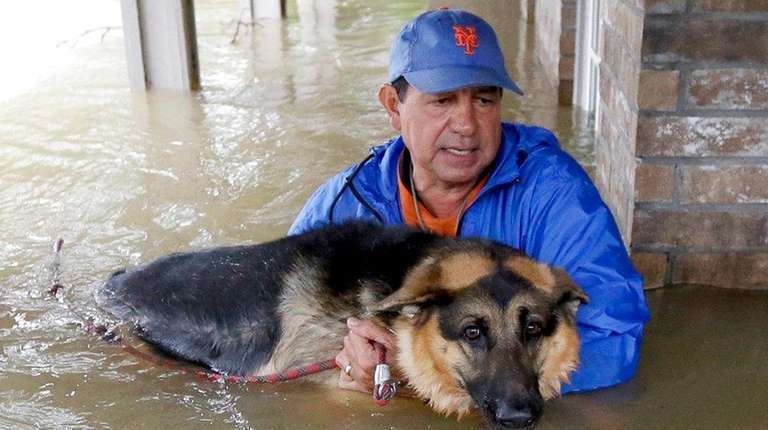 SPCA of Texas/Jan Rees-Jones Animal Care Center has provided an Amazon wishlist to collect supplies and those looking to donate to the cause can do so here.